John P. Comer, lead organizer of Maryland Community United, led chants of "override! override!" and "shame! shame!" on the steps of the State House Thursday, regarding Gov. Larry Hogan's veto of legislation last spring that would permit ex-felons to vote. Capital News Service photo by Josh Magness. 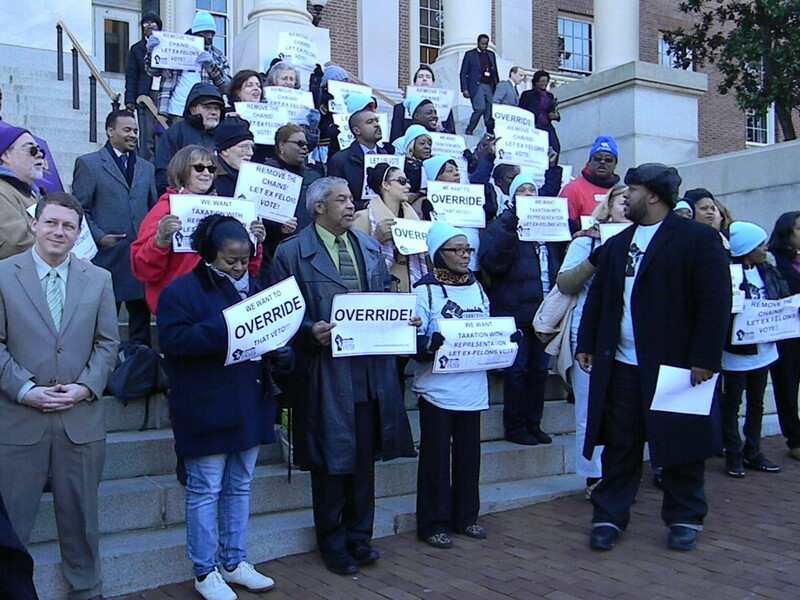 John P. Comer, lead organizer of Maryland Community United, led chants of “override! override!” and “shame! shame!” on the steps of the State House Thursday, regarding Gov. Larry Hogan’s veto of legislation last spring that would permit ex-felons to vote. Capital News Service photo by Josh Magness. Harry Cokely had been out of prison for two days. 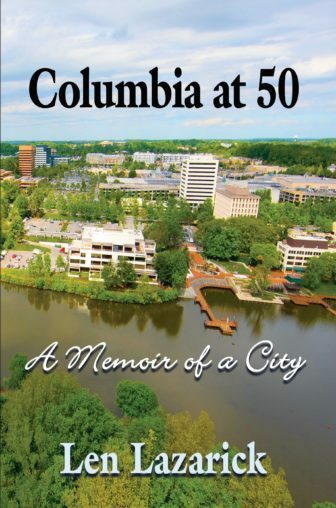 In addition to finding a job and staying out of trouble, his first priority after ending his 13-year prison sentence was to lobby the Maryland General Assembly. Cokely was one of around two dozen activists, former felons and clergy members on Thursday urging the General Assembly to override Gov. Larry Hogan’s veto last year of legislation that would expand voting rights for people on parole and probation. Cokely, who lives in Baltimore, said people often assume that because he served time, for armed robbery, he is uninterested in politics and civic life. “While I was incarcerated, all I did was watch the news to see what was going on with the state…people inside have opinions,” he said. Currently, ex-felons in the state of Maryland can’t vote until they have finished serving their parole or probation. For people like Etta Myers, that can equal a lifetime of disenfranchisement. Myers, who lives in Towson, said she was incarcerated when she was 21, and spent more than 36 years behind bars. She hopes to vote for the first time in April. Hogan’s opposition has mainly been based on the fact that people on parole are still technically in the state’s legal custody and therefore should not be free to vote. Organizers from Communities United, a group that advocates for “low- and middle-income families,” stood on the steps of the Maryland State House Thursday chanting and holding signs. They said they take issue with the fact that ex-felons are expected to participate in society in many ways, like getting a job and paying taxes, but are unable to fully participate in the democratic process. “I pay taxes, but you won’t accept my vote?” Perry Hopkins, an activist and former felon, asked the crowd assembled on the steps of the State House. Last year, Hogan vetoed legislation passed by the Senate, introduced by Sen. Joan Carter Conway, and by the House, introduced by Delegate Cory McCray, both Democrats from Baltimore. McCray noted that the law disproportionately affects people of color. “With elections decided so close in margins—when I got elected the election was decided by three votes—how are we leaving 43,000 people out of the conversation,” McCray said. The General Assembly is slated to vote on whether to override the governor’s veto next Wednesday.